Energy Healer and Mindfulness Meditation are my passion. I have been studying and practicing both since 2004. I began with Therapeutic Touch, and became a trained Usui Reiki Master, Teacher and Practitioner in 2009. I provide balance to clients who are interested in healing on a physical, emotional and spiritual level. Energy healing balances and harmonizes the energy in the body; it helps to remove blockages that prevent the energy from flowing. The energy is transmitted by hand positions to promote self-healing. The energy is given from the heart and received as unconditional love. 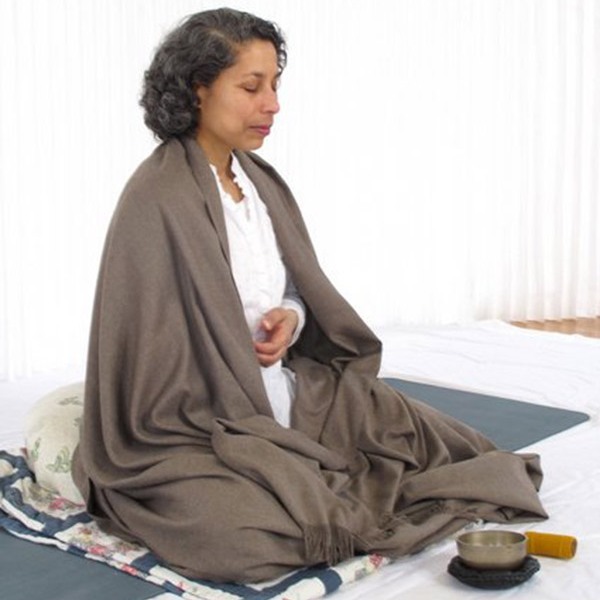 I was drawn to meditation; my teacher Har-Prakash Khalsa led me to Shinzen Young. Shinzen`s labelling technique was simple, direct and on my first retreat I was able to calm my mind under distress. Over the years my interest in Meditation has taken me to Burma, India and Vermont to deepen my practice. In 2008 I began teaching Mindfulness Meditation to beginners. Mindfulness Meditation provides an opportunity to bring balance and focus to one’s life. The meditation techniques help to reduce stress, be present in the moment and allow the individual to become one with their mind, body and spirit. In my own experience I found that when energy work is combined with an intensive meditation retreat, it allows the student to release any emotional or physical pain at a deeper level. Throughout my life there had been moments of awakening and awareness, feeling that I was heading in the right direction or this was right for me. The process became more rapid when my husband passed away and my life was in turmoil. The world I once knew began falling apart; I looked to meditation and energy healing to bring balance into my life and found that it was anchor that I was searching for. After a ten- week intro-class in mindfulness meditation, I signed up for my first intensive retreat. I did not know what it would entail but I knew that I had to attend. I was a rookie among experienced meditators, I went through a lot of pain, discomfort and emotional releases and it changed my life. By the end of the week I realized that I wanted to experience a longer retreat. I didn’t know how, where or when but I knew that it would happen. In my second year of meditation, I sought information about a longer retreat and found the right location. I left my job, my friends and my home in Owen Sound for 10 months, to start a new level on my spiritual journey. I spent the first 3 months in a silent Meditation Retreat at a Burmese Monastery in Yangon. The day began at 3:30 am and finished at 9:00 pm alternating with sitting and walking meditation. There were 2 meals per day and fasting after 12:00 noon. This was the routine each day. There were several spiritual lessons learnt: 1) how powerful our thoughts are and how quickly they can manifest. 2) The actions of others can cause us to suffer without them knowing how; and 3) how to simply “let go”. At the end of the 3 months, I headed to Calcutta, India to serve for 6 months with the Missionaries of Charity (Mother Teresa order) to work with the sick, the poor and the dying. This was a life changing experience for me, one I will always cherish. The major lessons learnt was how to live more compassionately with others and how powerful our prayers are. After my time in Calcutta, I traveled for a few weeks in India before returning home. Upon my return to Owen Sound, I began teaching Mindfulness Meditation to beginners and providing Energy Healing to those who require balance in their lives. Meditation and healing helps to release the tension in our bodies and helps us to alter the conditions, circumstances and patterns that cause suffering in our lives.